The OCC has announced that it will consider applications for special purpose national bank charters for financial technology (“fintech”) companies. Along with that announcement on December 2, the OCC published a white paper, titled Exploring Special Purpose National Bank Charters for Fintech Companies, that discusses the issues and conditions that the OCC will consider in granting fintech charters. Comptroller of the Currency Thomas Curry stated that the OCC has the authority to grant special purpose national bank charters to fintech companies that conduct at least one of three core banking activities: receiving deposits, paying checks or lending money. He stated that the OCC is currently developing a formal agency policy that will articulate specific criteria for approval of fintech charters, which will be informed by the comments the OCC receives on the white paper. Comptroller Curry noted that the white paper requests public comments on the types of activities the OCC should require of a fintech charter to demonstrate the applicant’s commitment to financial inclusion, fair access to financial services and fair treatment of customers, among other things. Comments may be submitted through January 15, 2017. Click here for a copy of the OCC’s white paper that discusses the issues and conditions that the OCC will likely consider in granting fintech charters. 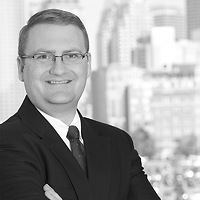 Nutter Notes: According to the OCC’s fintech white paper, companies with a fintech charter will be required to meet supervisory standards commensurate with those of any other national bank, including safety and soundness requirements, and requirements to provide fair access to financial services, treat customers fairly, and comply with all applicable laws and regulations. Such standards would be based on each fintech company’s size, complexity and risks. 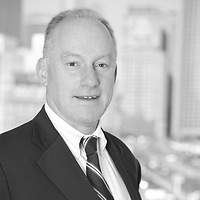 According to the white paper, the baseline supervisory review of any entity seeking a fintech charter from the OCC will involve a consideration of the applicant’s proposed business plan, corporate governance, capital, liquidity, compliance risk management, financial inclusion, and recovery and resolution planning. The business plan should provide significant detail about the proposed fintech company’s activities, how it will organize its resources to meet its objectives, and how it will measure progress. The OCC stated that it recognizes that it may need to tailor some requirements that apply to a full-service national bank to address the business model of a special purpose fintech charter. For example, while the OCC will not expect a fintech company that is not an insured depository institution to comply with Community Reinvestment Act requirements, the OCC will expect a fintech company that engages in lending activities “to demonstrate a commitment to financial inclusion that supports fair access to financial services and fair treatment of customers,” according to the white paper. The federal banking agencies have published joint guidance in the form of answers to frequently asked questions (“FAQs”) on the new FASB accounting standard that introduces the current expected credit losses methodology (“CECL”) for estimating allowances for credit losses. The FAQs issued on December 19 provide guidance on the application of CECL and related supervisory expectations. CECL will apply to all banks and bank holding companies, regardless of asset size. The FAQs confirm that community banks are not expected to adopt complex modeling techniques to implement the new accounting standard, and that CECL is scalable to the size and complexity of an institution. There are three different effective dates for CECL, depending on the institution’s characteristics. For public companies, including banks and bank holding companies, that are SEC filers, the new credit losses standard is effective for fiscal years beginning after December 15, 2019, including interim periods within those fiscal years. For public companies that are not SEC filers, CECL is effective for fiscal years beginning after December 15, 2020, including interim periods within those fiscal years. For non-public companies, CECL is effective for fiscal years beginning after December 15, 2020, and for interim period financial statements for fiscal years beginning after December 15, 2021. Click here for a copy of the FAQs. Nutter Notes: According to the FAQs, CECL does not prescribe the use of specific methods for estimating credit loss levels. Instead, allowances for credit losses may be determined “using various methods that reasonably estimate the expected collectability of financial assets and are applied consistently over time,” according to the FAQs. The FAQs provide examples of acceptable methodologies, including loss rate, roll-rate, vintage analysis, discounted cash flow, and probability of default/loss given default. The FAQs clarify that neither a vintage nor a discounted cash flow method is required for estimating expected credit losses. The FAQs also clarify that an institution may apply different estimation methods to different groups of financial assets. Until CECL’s applicable effective date, the banking agencies will continue to examine credit loss estimates and allowance balances using examination procedures applicable to an incurred credit loss methodology consistent with existing U.S. GAAP, the guidance in the December 2006 Interagency Policy Statement on the Allowance for Loan and Lease Losses, and the agencies’ policy statements on allowance methodologies and documentation, according to the FAQs. The federal banking agencies have jointly issued a final rule that expands the number of small banks and savings associations eligible for an 18-month examination cycle rather than the standard 12-month cycle. Under the final rule released on December 12, qualifying well-capitalized and well-managed banks and savings associations with less than $1 billion in total assets are eligible for an 18-month examination cycle. Previously, only institutions with less than $500 million in total assets were eligible for the extended examination cycle. In addition to being well-capitalized and well-managed, to qualify for the extended examination cycle an institution must have a CAMELS rating of 1 or 2 for management, must have a composite CAMELS rating of 1 or 2, must not be subject to a formal enforcement proceeding or order, and no change of control may have occurred during the preceding 12-month period in which a full-scope, on-site exam would have been required under the standard 12-month cycle. Click here for a copy of the final rule. Nutter Notes: An interim final rule previously adopted by the federal banking agencies to extend the examination cycle for qualified community banks and savings associations has been in effect since February 29, 2016. The agencies issued the interim final rule to implement authority granted by the Fixing America’s Surface Transportation (“FAST”) Act by Congress in 2015. Section 83001 of the FAST Act permits the federal banking agencies to conduct a full-scope, on-site examination of qualifying banks and savings associations with less than $1 billion in total assets no less than once during any 18-month period. Prior to the authority granted by the FAST Act, only qualifying institutions with less than $500 million in total assets were eligible for an 18-month examination cycle. The final rule is identical to the interim final rule. The final rule also integrates the FDIC’s regulations governing the frequency of safety and soundness examinations for state nonmember banks and for state savings associations. The Massachusetts Division of Banks has issued final amendments to its foreclosure prevention rule, 209 CMR 56.00: Foreclosure Prevention Options, and its rule governing ATMs and electronic funds transfers (“EFTs”), 209 CMR 31.00: Electronic Fund Transfers and Establishment and Operation of Electronic Branches. The final amendments to both rules became effective on December 16, 2016. The final amendments to the foreclosure prevention rule change references in the rule and accompanying model disclosure forms from a 150-day right to cure period to a 90-day right to cure period. In 2010, the Massachusetts legislature amended Section 35A of Chapter 244 of the General Laws, which required a 90-day right to cure a home mortgage loan default, to extend the cure period to 150 days. The amendment, effected by Chapter 258 of the Acts of 2010, also included a sunset provision that returned the right to cure period back to 90 days as of January 1, 2016. The final amendments also permit the delivery of notices required under the right to cure law with related foreclosure prevention notices required to be delivered under the CFPB’s Regulation X that implements the Real Estate Settlement Procedures Act. Click here for a copy of the amended foreclosure prevention rule. Nutter Notes: Before January 1, 2016, the right to cure law also included procedures a mortgage lender or servicer could follow to reduce the right to cure period from 150 days to 90 days by taking certain steps to attempt to negotiate an alternative to foreclosure, which were also reflected in the Division’s rule. The final amendments also remove those procedures from the foreclosure prevention rule. 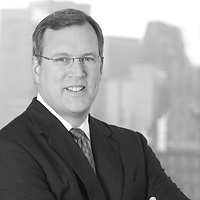 The Division’s final amendments to its rule governing ATMs and EFTs make changes conforming to amendments to Massachusetts law governing EFTs set forth in Chapter 482 of the Acts of 2014, which deems compliance by banks with federal law governing EFTs to be sufficient to satisfy Massachusetts law, with certain limited exceptions. The Division’s final amendments insert references to the applicable provisions of the CFPB’s Regulation E, compliance with which will constitute compliance with Massachusetts law. Click here for a copy of the amended ATM/EFT rule. In response to the approval by Massachusetts voters of a ballot initiative that will permit the sale to, and use of marijuana by, persons at least 21 years old, the Division of Banks has issued examination guidance on the provision of banking services to marijuana-related businesses. According to the guidance issued by the Division during the week of November 27, “[a]dherence to [FinCEN’s] guidelines and recommendations will satisfy the requirements of the Division of Banks for institutions under its supervisory jurisdiction.” Click here for a copy of the Division’s guidance. Nutter Notes: FinCEN issued guidance in 2014 that provided due diligence standards and reporting requirements for banks to follow if they offer financial products and services to marijuana-related businesses operating in compliance with state law. FinCEN’s 2014 guidance was issued in reaction to a 2013 memo by the Department of Justice that acknowledged differences between federal and state laws regarding marijuana, and provided enforcement guidelines for marijuana-related businesses, which, if followed, would reduce the likelihood of prosecution under federal drug laws. The cultivation, possession or sale of marijuana remains a crime under federal law. The U.S. Supreme Court, in a December 12 ruling, held that a scheme to fraudulently obtain funds from a bank depositor’s account also constitutes fraud against the bank itself for purposes of the federal bank fraud statute where the perpetrator knew that the bank held the deposits, the funds came from the deposit account and the perpetrator misled the bank in order to obtain those funds. The defendant in the case had argued that the federal bank fraud statute did not apply to him because he intended to cheat only a bank depositor and not the bank. Click here for a copy of the Court’s decision.